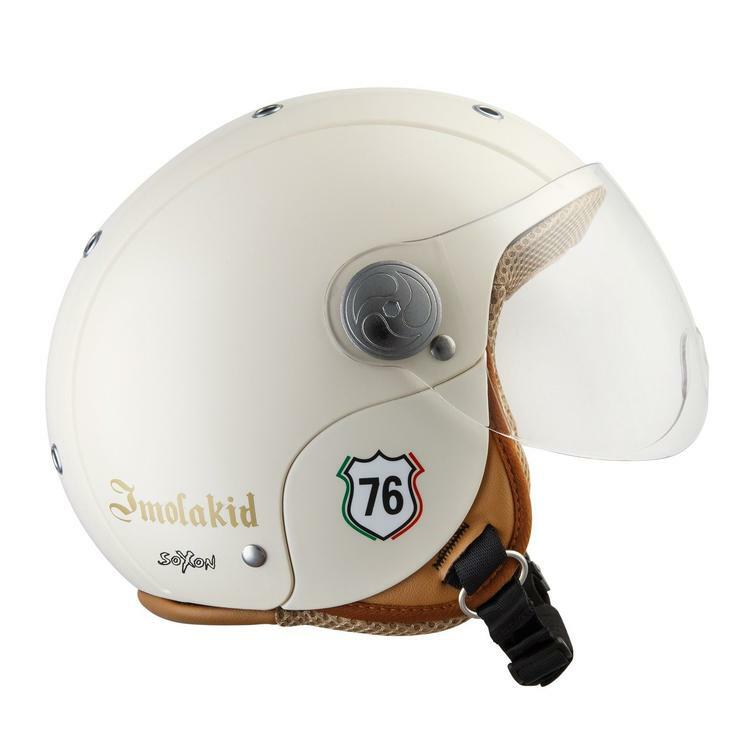 The SOXON SK-55 Kids Imola Open Face Motorcycle Helmet Beige is part of the latest Soxon collection. The SK-55 Imola Open Face Helmet of the brand Soxon Germany combines certified ECE protection with classy design and quality fashioning. The thermal polymer shell provides reliable protection and enables an exceptionally low weight, which improves comfort noticeably. The extra small shell guarantees a decent look. The scratch-resistant wind visor offers optimal protection against dust, bugs and weather. 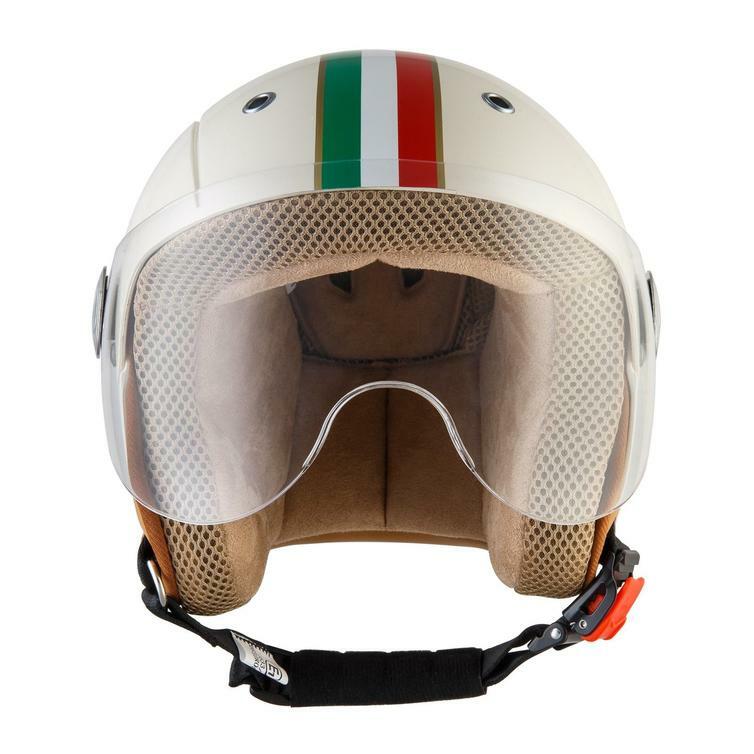 The helmet is prepared for usage with small & large visors. The inner lining is partially removable and washable, it offers a very pleasant feel thanks to its three-dimensional head shape. 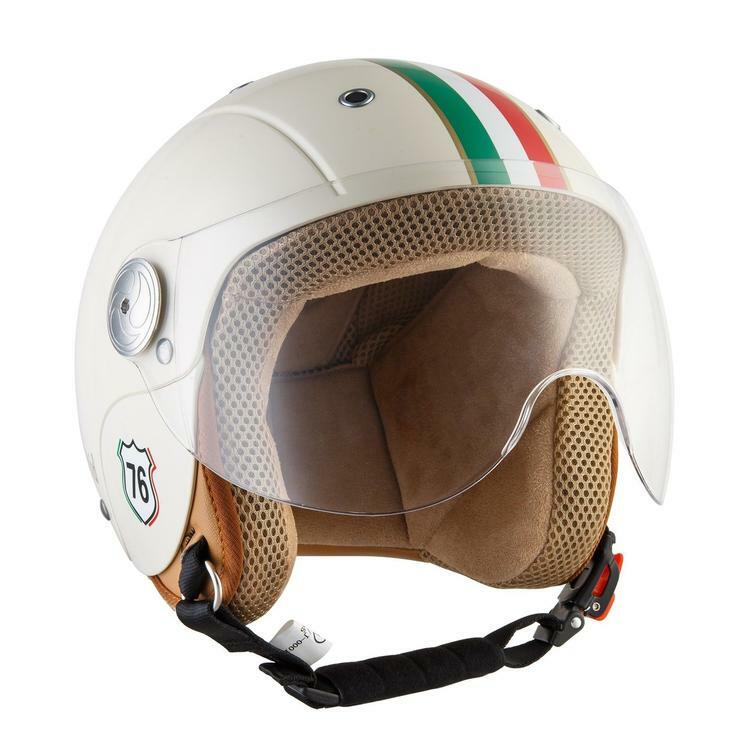 The helmet also features a click-n-secure closure, that can be used with a single hand, thus it can be opened and closed easily with and without gloves, an original Soxon Germany fabric carrying case and weighs only 750 grams.